a) To promote, foster and safeguard the game of bowls. b) To affiliate to Bowls England and Bowls Bedfordshire. c) To enforce the laws of the game as laid down by Bowls England. Application for membership shall be made via the Club Secretary. Acceptance shall require a two-thirds majority of those attending the Committee meeting at which the application is discussed. Shall be open to all, fairly and without prejudice to age, gender, disability, race, ethnic origin, creed, colour, social status, or sexual orientation. Junior members shall be deemed to be up to the age of eighteen and under the direct supervision of an adult. The club accepts the policy and procedures relating to Child Protection and Safeguarding Vulnerable Adults as set out by Bowls England, and requires all members to accept them as a condition of membership. An annual subscription, at a rate agreed by the Annual General meeting, shall be paid by each member to the Club Treasurer not later than the overdue date of 30th b April. Any member in arrears of payment at the end of May, shall not be eligible to participate in friendly or competitive matches, County or Club competitions. 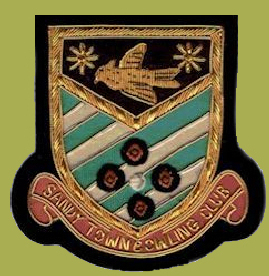 a) The affairs of the Club shall be conducted by a Committee consisting of: Chairman; Secretary; Treasurer; Ladies Match Secretary; Ladies Captain; Men’s Match Secretary; Men’s Captain; Men’s Vice Captain; Green Keeper (or his representative); Social Secretary; Welfare Officer; Publicity Officer; Coaching Co-ordinator; Village Hall Representative; and up to any 3 non office members, from whom any co-opted position may be sought. The President & Life Members, and any other members are invited to attend ex officio. b) The Committee shall meet at least ten times a year or as often as necessary. c) A quorum shall consist of fifty percent of the Committee. d) The Committee may co-opt any member and/or appoint sub-committees as required. e) The Committee shall have the powers to raise funds and to invite grants, donations and other contributions. The Secretary shall keep a record of all business transacted at all meetings and shall submit to the Annual General Meeting a report of the proceedings since the previous Annual General Meeting. The Treasurer shall render to the Annual General Meeting, accounts for the past year ended September 30th, audited and signed by the Treasurer and Auditor. In accordance with current legislation and Bowls England regulations, the Club shall appoint a Welfare Officer who must hold a current ‘Safeguarding and Protecting Children (Sports Coach UK)’ certificate and have attended the ‘Time to Listen’ course (Child Protection in Sport unit of the NSPCC). Shall attend to all aspects of fixtures approved by the Committee. Shall attend to all social and fund raising events as approved by the Committee and shall, periodically, though not more than four weeks, ensure that funds and details thereof are passed to the Treasurer. The Captain shall be responsible for posting on the Club’s notice board, each month, a list of upcoming matches to enable all players to indicate their respective availabilities. The Captain shall be responsible for displaying all teams on the Club’s notice board, showing players selected to represent the Club for specific games. The Captain shall pass match proceeds and details thereof, including ‘nil’ returns to the Treasurer, at not more than four week intervals. He shall ensure this applies to the Vice Captain, and any player designated by the Captain to act on his behalf. The Publicity Officer shall publish all matter considered to be in the best interests of the Club and its members. The Coaching Co-ordinator shall manage the activities of our registered coaches and arrange, as necessary, the required courses and qualifications required by Bowls England/Bowls Bedfordshire. The Captain and/or Vice Captain shall be responsible for selecting ‘friendly’ teams only, and a selection committee of three elected members for selection of competitive teams. This would not exclude nominations of Captain and Vice Captain. a) The Annual General Meeting shall be held during the month of November each year. Notice and agenda of the meeting shall be circulated to all members at least fourteen days prior to the meeting. b) Each item on the agenda shall be submitted to the meeting for discussion and the decision of any vote, taken and recorded. ‘Notices of Motion’ must be submitted to the Secretary no later than twenty one days before the date of the meeting. c) Nominations for the following offices must be submitted, together with a seconder and the agreement of the nominee, at the meeting. If more than one nomination is received for the aforementioned offices, a ballot shall be held and all members shall be entitled to vote. Not more than one vote to be cast by any member. d) The following appointments shall be made:- Auditor; Green-keeper and assistants to Green-keeper. e) No other business shall be transacted at the meeting. ii) On receipt of a request of no fewer than one third of the membership, by the Secretary. Fourteen days notice shall be given before calling a Special Meeting. Such notice shall specify the purpose for which the meeting has been called. iii) No other business shall be transacted at the meeting. Any amendment or addition to any of these rules shall be made only at the Annual General Meeting or Special Meeting convened for that purpose. No alteration shall be made to the rules or constitution without the consent of at least two-thirds of those attending the Meeting and entitled to vote. Should any member be dissatisfied or have any query with Club procedures, reference should be made to the Chairman. Details of the complaint should be put in writing to the Chairman within seven days of the event. All disciplinary matters will be dealt with in accordance with Bowls England Regulation No. 9, “Disciplinary Rules in Relation to Misconduct at Club Level and at Licensed Tournaments – Misconduct”, full details of which can be found on the Bowls England website at www.bowlsengland.com. a) The Club shall have entire control of all competitions and shall draw up rules and regulations to cover same. b) Entry shall be open to all fully paid-up members of the Club, the closing date being May 1st. c) All competitions shall be played under the laws of Bowls England or of the Club if Bowls England laws differ from the laws and rules of any consortium to which the Club may be affiliated. d) Fees for each competition shall be decided by the Committee. e) i) The competitor(s) appearing first in each pairing shall be the challenger(s) and shall offer the opponent(s) three dates from which to choose. In the event of the opponent(s) not accepting any date, the challenger(s) shall inform the Committee member acting as competition secretary who shall award the tie to the challenger(s). Should the opponent(s) not be offered three dates, the opponent(s) shall inform the committee member acting as competition secretary who shall award the tie to the opponent(s). Caution must be exercised by the all parties regarding players engaged in County/National matches or competitions, or attending to business of the Club, who may request an alternative date (see section 20). In all disputes, the decision of the Committee shall be final. ii) All ties must be played on or before the dates set out with the competition draw. In the event of a tie not being completed by the scheduled date and neither challenger(s) or opponent(s) having informed the Committee member acting as competition secretary, both entries shall be disqualified. f) i) All ties shall be played on the Club green. ii) Dress shall be club shirt or white above the waist with grey trousers or skirts in all rounds up to the final where white trousers or skirts shall be worn. Iii) The winners of each tie shall be responsible for ensuring the result is entered on the competition draw sheet. g) In any competition other than singles, a substitute may be used providing such member has not previously played in that particular competition and only with the agreement of the Committee member acting as competition secretary. h) Any dispute arising from a competition tie must be reported within twenty-four hours of the game being played. The Committee member acting as competition secretary shall adjudicate. i) The Committee shall have the power to deal with any matter not provided for in these rules. a) At all times, bowling shoes shall be worn when using the green. In the event of bowling shoes not being available, flat shoes with no heels, ridges or pronounced pattern to sole may be used. b) Practice and Club (in house) Competitions: It is desirable that white above the waist and grey trousers or skirts shall be worn. c) County Competitions: Club shirts above the waist and grey trousers or skirts shall be worn. d) Club, friendly or competitive matches: Club shirt and grey or white trousers or skirts shall be worn, dress as stated on the team sheet. e) Club ties are available from the Club Treasurer at a price determined by the Committee. f) Club blazer badges are available from the Club Treasurer at a price determined by the Committee. g) Club bowls stickers are available from the Club captain. Monthly availability lists shall be displayed on the Club notice board and teams shall be normally selected by the Tuesday preceding the match. Failure to meet our commitments can result in fixtures being lost, so please do your best to make yourselves available in good time. Fixture cards shall be available prior to commencement of the season. The responsibility of team selection for friendly matches is of the Captain and/or Vice Captain. The responsibility for team selection for competitive matches, will be a three person selection committee, nominated at the Club’s AGM, and would not exclude the Captain or Vice Captain. Please ensure that, if selected, including reserves, you initial your confirmation at the earliest opportunity and not later than two days preceding the match. Where club notification is made electronically, then an acknowledgement should be made by the player selected, by return. Where selected members have not confirmed their selection, the Captain must use his/her discretion and may choose to use a reserve(s) to replace the ‘defaulting’ player. A diary is kept in the Club’s equipment shed for entries of all games. Rink bookings shall be entered against the date required stating time, details and name. eg Fred Bloggs; one rink; County fours; 6pm. A weekly programme of rink usage shall be displayed by the green-keeper, and games must be played on the rinks and ‘marks’ indicated, along with the direction. In the event of a rink requirement, after the programme has been prepared, members should contact the green-keeper or his representative. Should a rink not be booked, an outside rink designated for practice must be used – normally rinks 5 or 6. If a match, for which a rink has been booked, is cancelled or postponed, it is the duty of the member responsible to inform the green-keeper or his representative as soon as possible. Note – members are advised that, should they bring a guest to use the green, an hourly rate shall be charged as determined by the Committee. All monies to be paid to the Treasurer. This is a requirement of Sandy Town Council. In the event of any member mistreating the green, the green-keeper or any member of the Committee is empowered to request the offender to leave the green. After any use of the green, all participating members must ensure that the equipment is stored and locked in the Club’s shed. Entries to these competitions are made annually via the Club Secretary. Entries to these competitions is open to all members (see section 18). The Club offers free of charge ‘taster’ sessions (maximum 2 sessions), after which we would expect application for first year membership (as above). If upon winding-up or dissolution of the Club, there remains, after the satisfaction of all debts and liabilities, any property whatsoever, the same shall not be paid or distributed among the members of the Club, but shall be given or applied for approved sporting or charitable purpose.